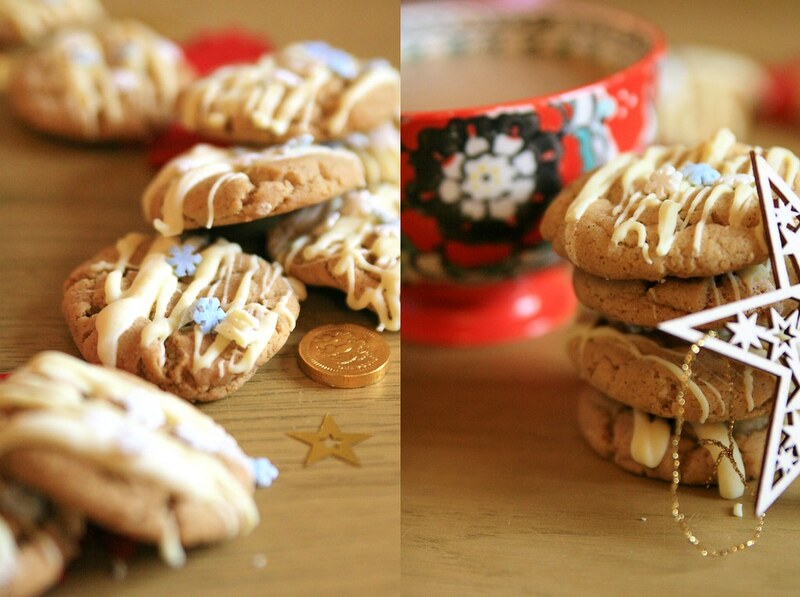 Christmas and Gingerbread are a match made in heaven, and so today, I'm sharing a recipe for cookies infused with Bluebird Tea Co’s Gingerbread Chai. 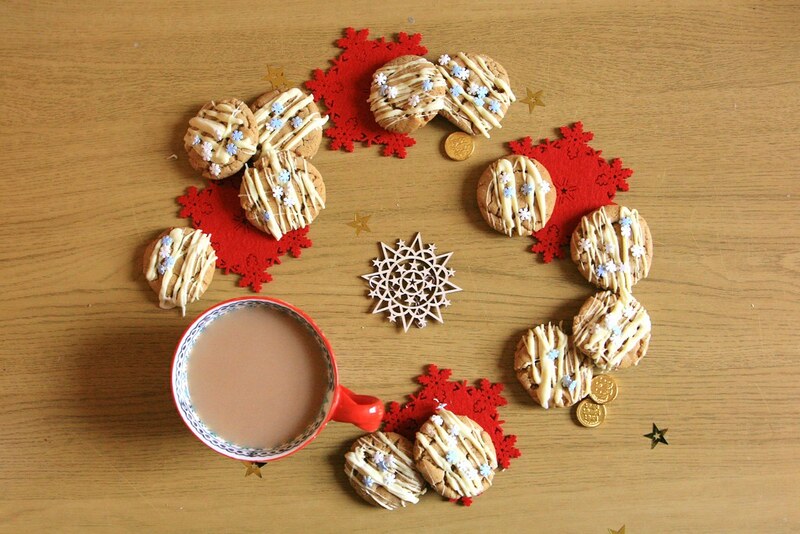 These lovely little biscuits are so quick and easy to make, and I've found them to be real hit with colleagues and students at school. Seriously, I get requests. And, once the syrup is made, I can genuinely knock out a batch in half an hour, so it's an efficient way to earn the adulation of those around you, fill your kitchen with the glorious scent of gingerbread, and then put on your best "oh, but I just threw these together" expression. 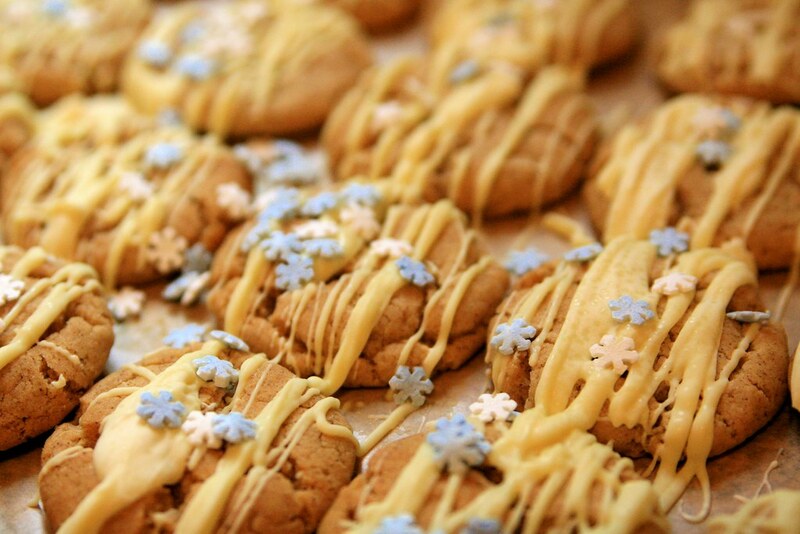 These cookies are made by preparing a syrup infused with Gingerbread Chai, and then using that to bake the biscuits. The syrup recipe makes enough for multiple batches of biscuits, and you'll still have some leftover to add to hot chocolate if you're feeling indulgent. 1. Boil the water, and add the tea. 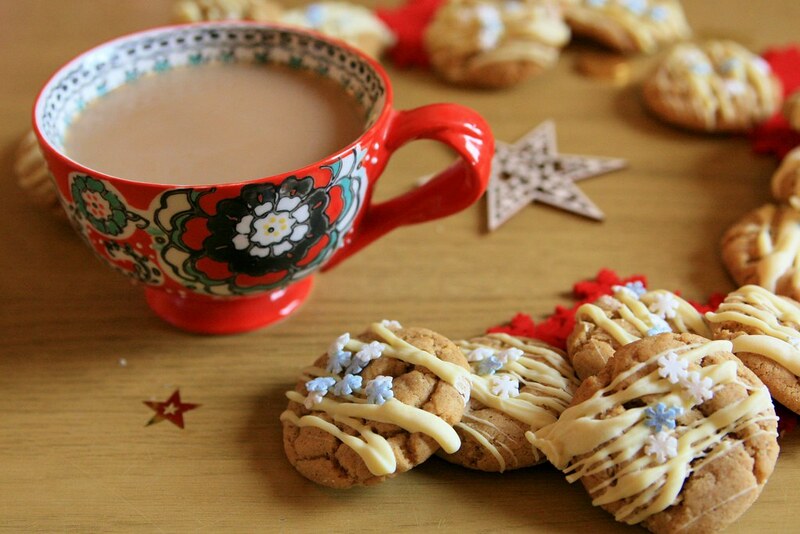 Gingerbread Chai is a rooibos tea which means it can be brewed at 100 degrees Celcius. 5 teaspoons might seem like a lot for one cup of water, but to give the syrup a real gingery taste and depth of flavour, it totally works. Leave the tea to brew for around 7-8 minutes. 2. Once your tea is brewed, strain out the leaves, add the tea and the cup of sugar to a pan over a medium heat, and bring the mixture the boil. Reduce the temperature, stirring occasionally, and simmer the syrup for just long enough to allow the sugar to dissolve. Then remove the pan from the heat. 3. Allow the syrup to cool; it will be quite runny. Once the syrup is cool, keep it in an airtight jar in the fridge; you’ll end up with more than you need for the cookies, and it will keep well. It’s lovely stirred into a matcha latte or a wintry hot chocolate! 1. Line a baking tray with greaseproof paper, and pre-heat the oven to 170 degrees. 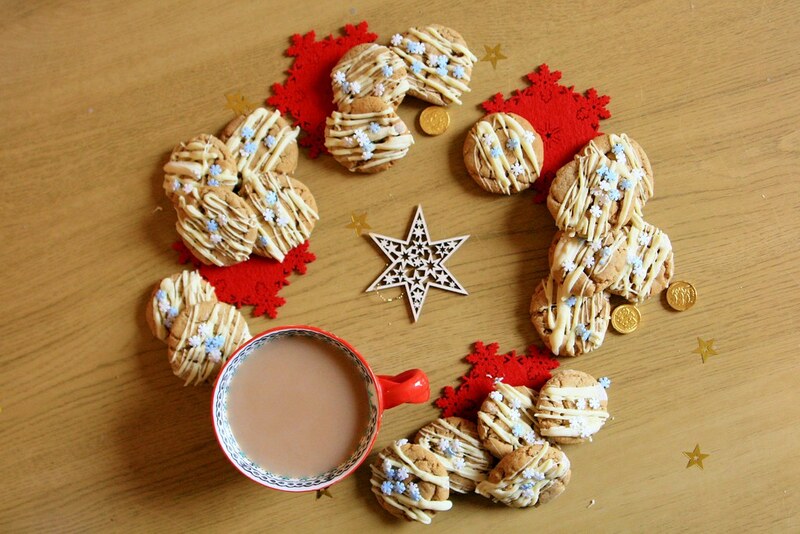 In a saucepan over a medium heat, melt the butter, golden syrup and Gingerbread Chai syrup, stirring them to combine. 2. In a large bowl, mix together the flour, caster sugar, bicarbonate of soda and the spices. 3. Add the melted butter and syrup mixture to the dry ingredients and stir thoroughly to combine. You may find it useful to use your hands to combine everything into a dough-like consistency. 5. Flatten each ball slightly, put the tray in the oven and bake the cookies at 170 degrees for 10-12 minutes. 6. Take the cookies out of the oven and leave to stand for 5 minutes; they will be soft at first but will solidify as they cool. 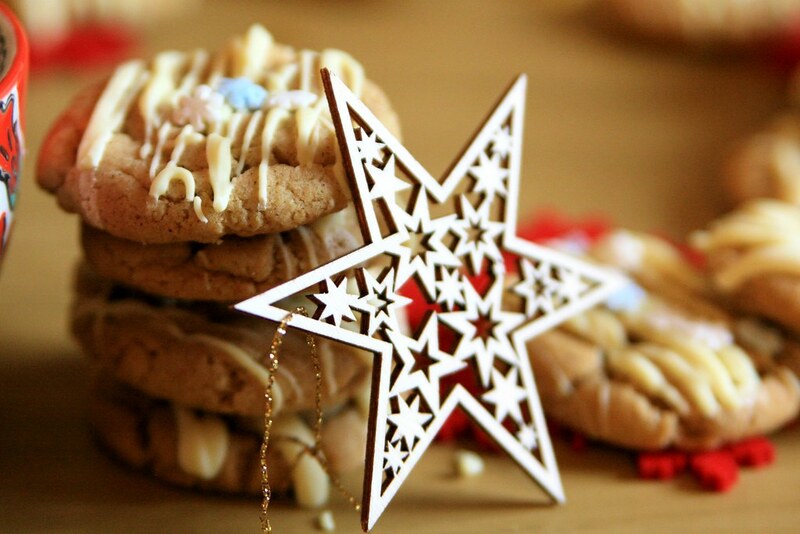 Transfer the cookies to a wire rack to cool completely. 7. 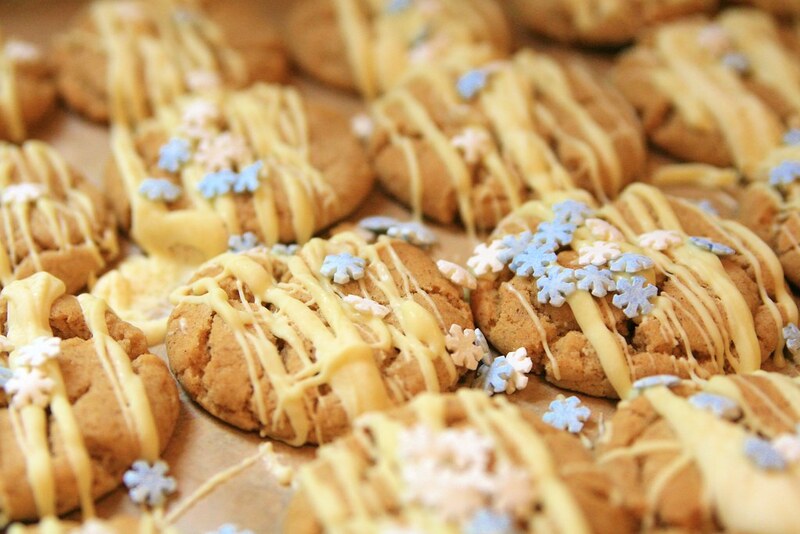 Melt the white chocolate (I do this carefully on a low heat in the microwave) and drizzle over the top of the cookies. You get extra style points for arty swirls. Cool unicorn points are awarded if you top with edible glitter and sprinkles. 8. (Optional) Eat the entire first batch yourself with numerous cups of tea. Then use some of your leftover Gingerbread Chai syrup to make a second batch (seriously, they’re so quick to knock together) and feed them to family, friends and colleagues. Bask in the glow of their compliments and adoration! Resolve in future to always make double batches. And that's my recipe! 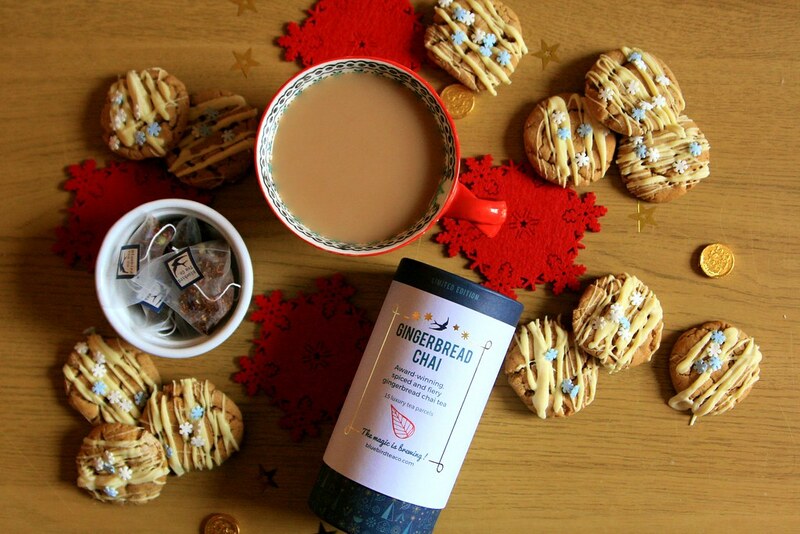 You can get hold of some Gingerbread Chai for yourself at Bluebird Tea Co (they now have a branch in London which is lovely!). Not only does it make good syrup, but it brews into delicious Gingerbread Chai lattes too. And as I happen to be a tea rep for Bluebird, you can use my super special discount code to get 20% off your first order. Just enter CURIOUSTEABIRD07 when you check out. 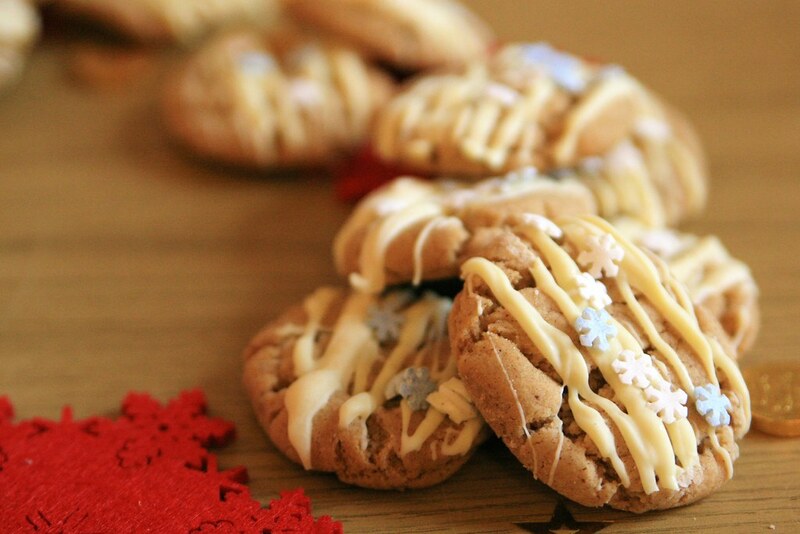 Do let me know if you try out this recipe; these little beauties really are a festive treat!